Unlike Buddy the Elf, the best way to spread Christmas cheer is not only by singing loud for all to hear, but also through their sweet tooth (toothes? teeth?). 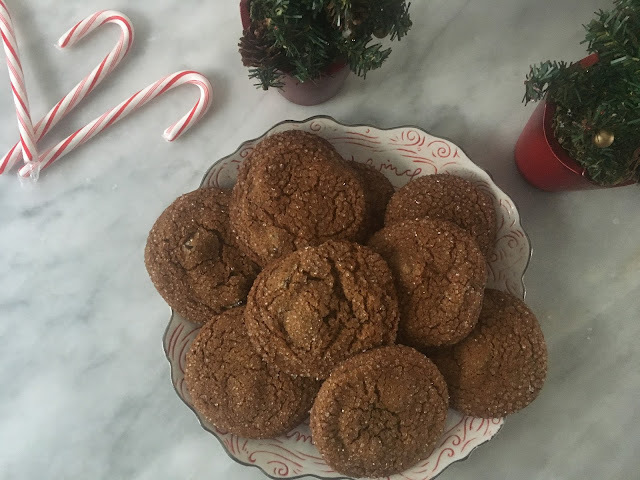 I feel like Buddy would be on my side for this post too after tasting my Gingersnaps with chocolate chunks, courtesy of Real Simple. Oh you read that right. We have Martha Stewart to thank for this one. 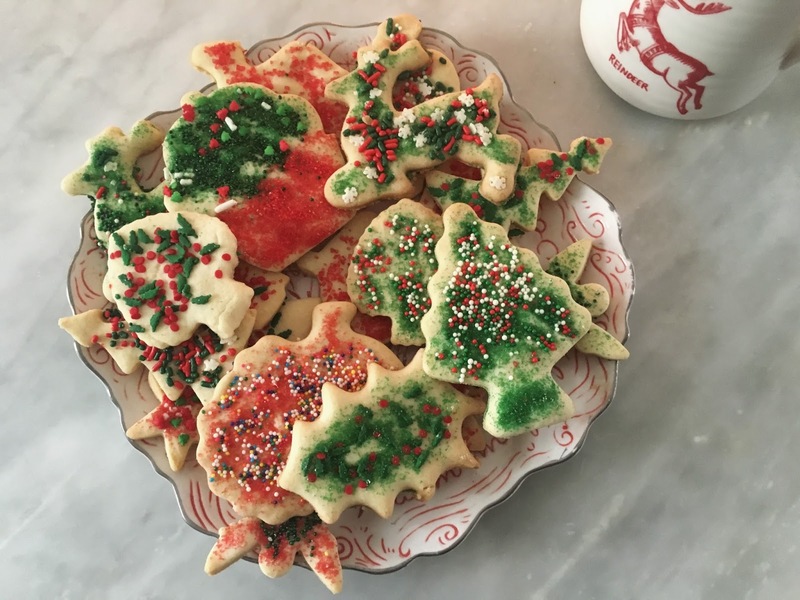 I forget how many years ago, but I stumbled upon an issue of Martha Stewart's magazine one Christmas season but this time, it was a special issue all about cookies. At the time I wasn't the big cookie baker I am now but I think I have this magazine to thank (and Real Simple, but that's another post). I read that issue like it was the bible of cookie making. Martha supplied idea after idea that were delicious and practical to a amateur high school baker at the time (I'm still an amateur lbr, but thankfully not still in high school). 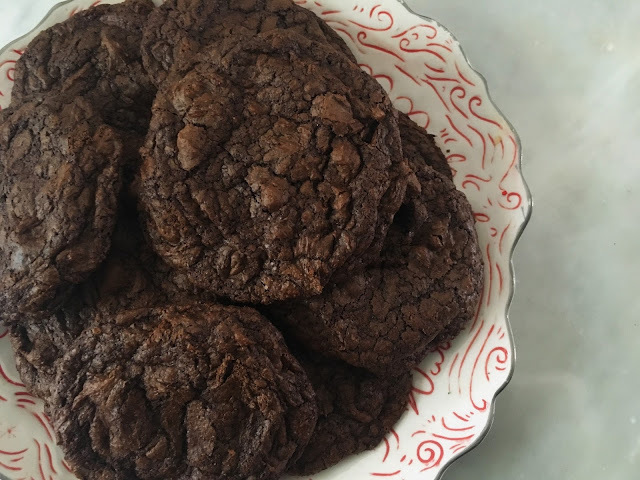 The one that stuck out the most was her recipe for Chocolate Espresso Cookies. I mean, what more could anyone what? Chocolate? Yes. Espresso? Double yes. Put together???? To quote a meme from beyond, what is air??? (cringe). As I write this, I finally have my favorite Marshmellow Fireside candle burning (!) thanks to National Candle Day this past Saturday at Bath & Body Works. The candles, normally $24.50, were just $8.95 and I stocked up. I went in the day before coupon-less (as no one should be in that fragrant abyss of sugar and soap), and picked up a loofa and hand soap, but left candle-less. Long story short, I happily walked out with two Marshmellow Fireside candles the day after and a new Cinnamon & Clove Bud candle (that smells exactly as it sounds: delicious). But when it comes to writing a food related post, I always feel like I should be some 30-year-old woman living in the cold Mid-west with some backstory about how much I love brown sugar and the symbolism behind it. Food posts always seem so fake deep to me...like I don't need a dissertation about these cookies. Let me grab the recipe and move on. Hopefully you're in the full festive swing of Christmas by now. If not, I'm here to help. The Clark Griswold of 2017 if you will. 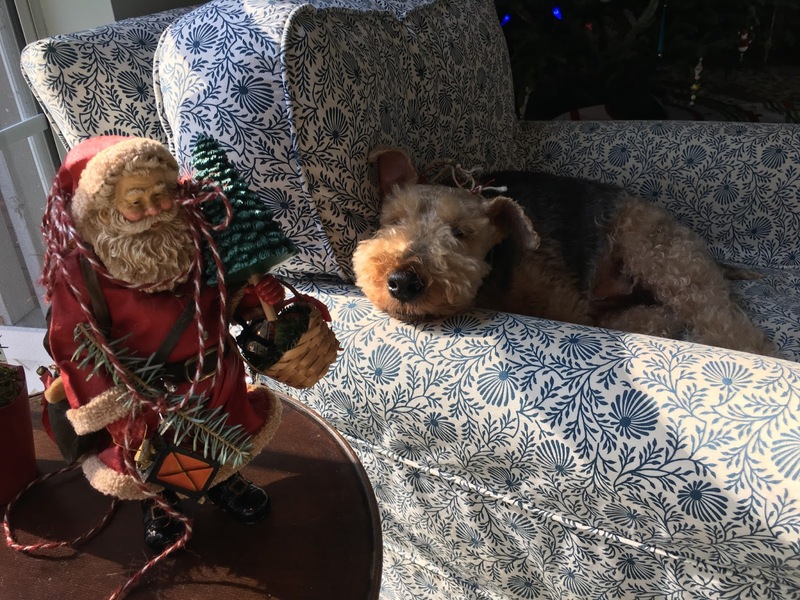 Recently, I had a close friend seek out my (festive) help to find her Christmas spirit again. I am known among many as that person who is ready to pull out the Christmas lights, put on Elf, and get my Starbucks holiday drink on November 1st. Christmas is my absolute favorite time of year, behind August which is my birthday month. The warmth and happiness that Christmas lights strung on the porch and around the tree set the ultimate Christmas mood. I live for the endless baking of delicious cookies, giving them out, and even eating a few myself. It's Christmas around the clock as soon as it's (somewhat) acceptable for me. Let's get cracking on how to achieve that glorious, maximum spirit. One thing is for sure this December, you can catch me singing and dancing along to Mariah Carey's incredible holiday hit, "All I Want for Christmas is You" every day. Every day another Christmas movie watched and a variety of songs play on my radio. 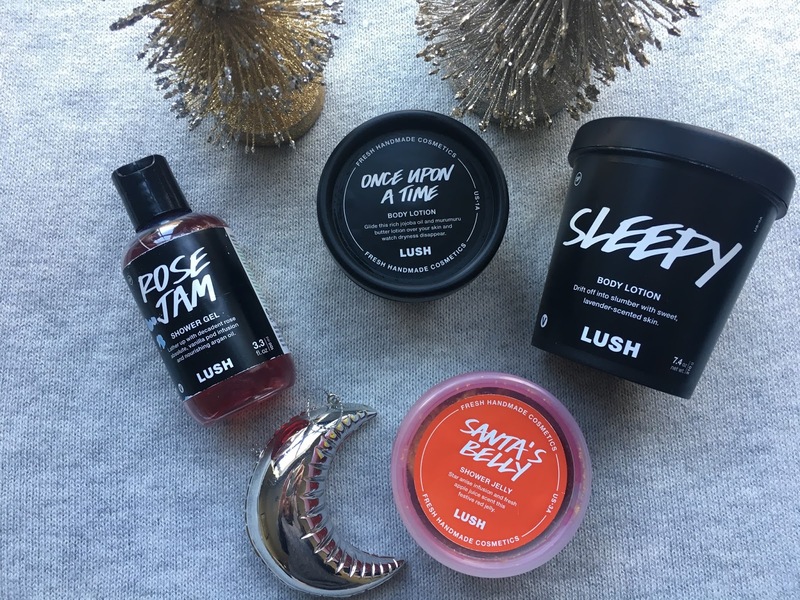 Lush also does Christmas beautifully. They're one of the most anticipated collections every year with products smelling of everything wonderful and reminiscent of Christmas days of old. Ahh, I can smell the cinnamon now...so tuck in and enjoy my ramblings about my favorite Christmas bits! Finally, almost three months later, I finally got it all together to tell you my thoughts on Fenty. Honestly, I've been so up in the air about this foundation for myself but on all others, it's a broad spectrum as well. 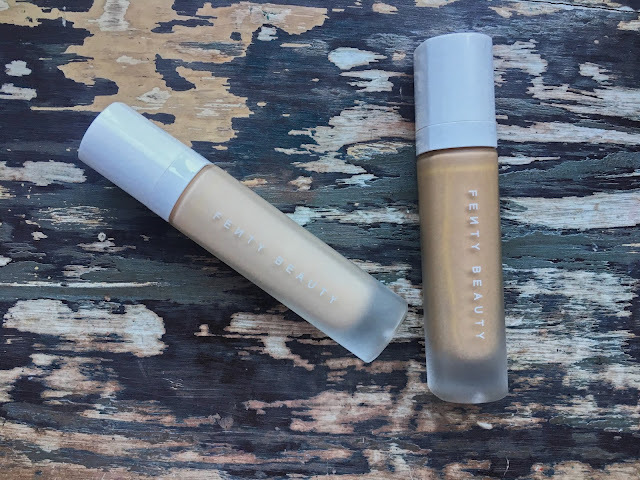 But before we dive too deep into the Fenty Sea (which I imagine glows and glistens softly like Rihanna in everything she does), let me talk a little about what you might not know so far about the OG collection.